Tenders are advertised in the local Hinchinbrook newspaper the Herbert River Express and in some instances the Townsville Bulletin, on Council’s Facebook page and through Council’s website on the Tenders and Quotations page, Current Procurement Opportunities tender documents can be picked up in person from Council Main Office, 25 Lannercost Street, Ingham Qld. When downloading tender documents from Council's website, you will be required to submit your details before being able to download the tender document. This will allow Council to easily contact you if there is an amendment to the tender offer document. In some cases, Council may have a pre-tender briefing to ensure prospective tenderers are fully aware of the scope of the tender, the tender documentation and the proposed commercial terms and conditions. The person listed as the “Name of Offerer” becomes Councils point of contact. Updating details if necessary is essential. Offers are to be submitted on the Offer Form provided. As per the specification detailed in the offer document. Alternatively, offers can be faxed via (07) 4776 3233 or emailed to Council via council@hinchinbrook.qld.gov.au. Please note if you intend to email or fax your tender documents to council please make arrangements with Councils Customer Service and Records Department on (07) 4776 4600 to ensure your offer is placed Council’s Tender Box by closing time. Evaluation of tenders will generally be in accordance with the requirements of the Local Government Act 2009 (ACT) and other applicable Legislative Requirements. 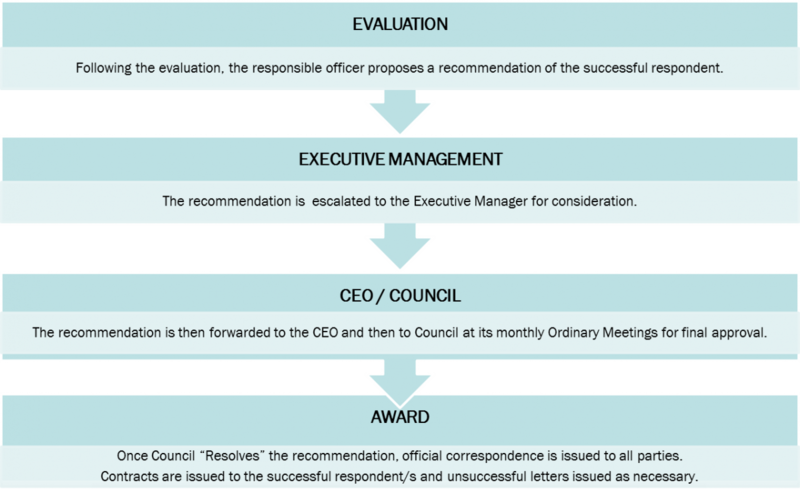 The evaluation panel takes into consideration the specified criteria. Please ensure that you address all Criteria in a clear and concise response. Local content criteria is utilised to encourage offerers to utilise local subcontractors and other support services by external contractors. Local content schedules will require confirmation, via statutory declaration, prior to finalisation of the contract documentation to ensure offerers are engaging local subcontractors as detailed in the tender submission. Should the contractor be unable to provide a statutory declaration to confirm local content prior to finalising the contract, Council reserves the right to abandon the finalisation of a contract. Furthermore, the offerer must prove compliance with their nominated local content value through the submission of a statutory declaration at practical completion and at such other times as reasonably requested by Council. 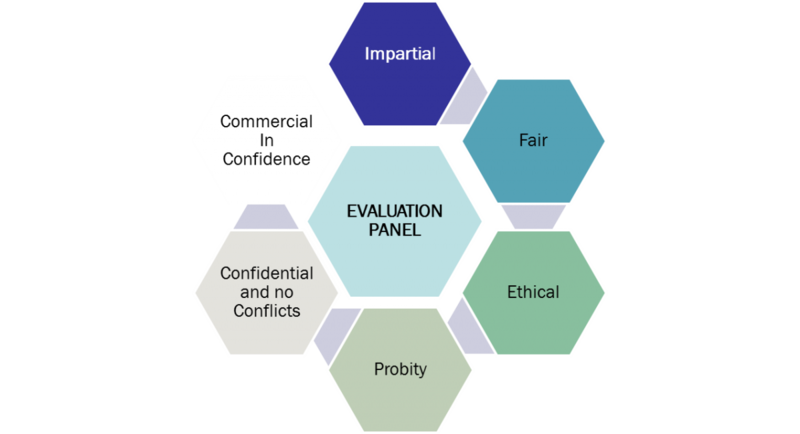 Failure to meet the nominated local content value may result in the contractor is subject to a reduction in scoring as part of future offer evaluations. Council encourages the development of competitive local businesses with the Hinchinbrook region. When evaluating tenders or offers, Council will attribute up to 5% of the overall evaluation score for local preference. Definition of Local Business: means a business which can reasonably be expected to either be beneficially owned by persons who are residents or ratepayers within the Hinchinbrook Shire Council area have its principal place of business within the Hinchinbrook Shire Council area otherwise have a place of business with the Hinchinbrook Shire Council which solely or primarily employs persons who are residents or ratepayers of the Shire. 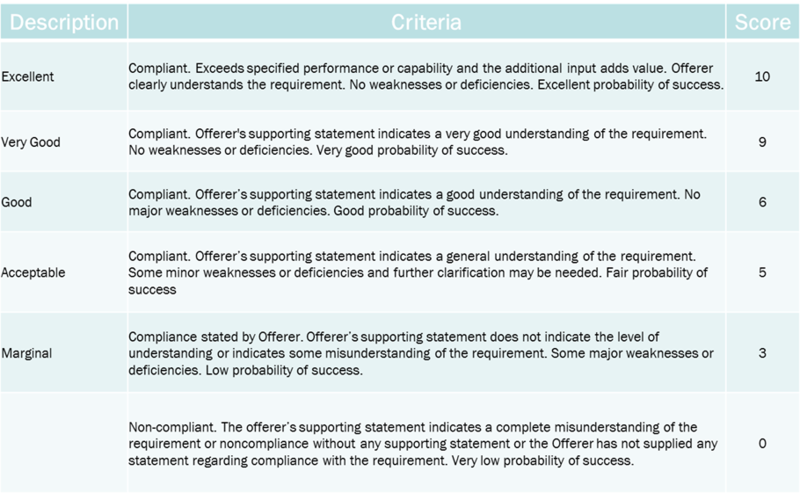 The qualitative criteria is an important part of your tender submission. Without a response to this criterion, Council may deem your submission non-conforming.